Concluding the Guardian’s trilogy, Island of Glass was packed with drama and bravery and heroics. Did I like it? YES. This series swept me up and kept me entertained for the entire two weeks I read it in. It is rare nowadays for me to drop everything and push to get through three books in two weeks, but I had to know. Island of Glass focuses on the last two remaining characters that haven’t resolved their feels yet for each other (hey, this is still a Nora Roberts series). The immortal Doyle and the lycan Riley deal with their growing attraction for each other and the fact that Nerezza wants them all dead, and the stars in her possession. The last book is similar to the first two in writing and execution. The end left me happy – I won’t give it away but everyone is given everything they would ever want. Riley remains my favorite female character with her academics and abrasive nature. Doyle and Riley make a perfect couple, and their road to each other was the best across the series. I really liked Doyle – cantankerous people are always better to read about than affable sweethearts. His outbursts and clear insight to what lies ahead made him valuable to their mission, and through all of that he showed that he still cared for the lot of them. The ending of the book was slightly drawn out – catching the last star and then meeting the goddesses and then still having to defeat Nerezza. In my opinion the book would have been stronger if they had done all of that in one huge fight. I’m likely to reread this series quite soon. 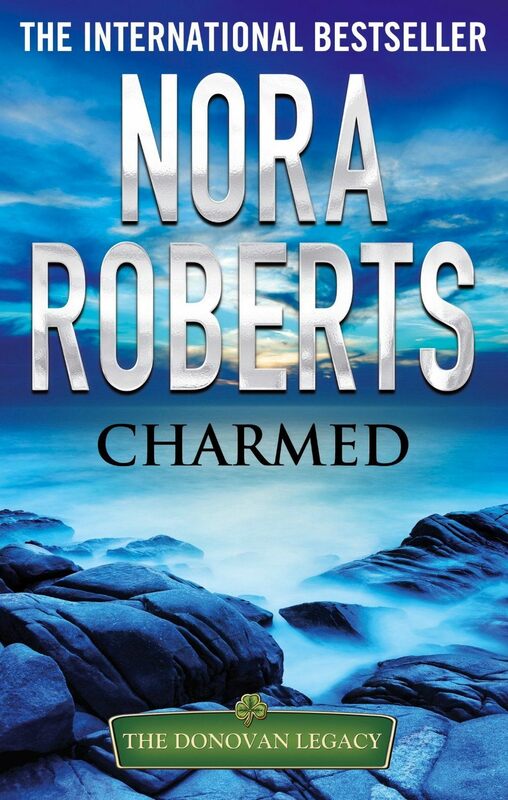 I enjoyed it very much and is some of the better fantasy novels Nora Roberts has produced. Boone Sawyer never expected to move next door to a woman who looked like one of the fairy princesses he often wrote about. Anastasia Donovan had a serene kind of femininity that would baffle and allure any man who was still breathing – and Boone was definitely breathing! Ana’s gift was for healing. Though her intriguing new neighbor made his living writing fairy tales, she didn’t think he’d easily accept her legacy. But when an accident put a life at stake, she could not deny her powers – though it could cost her Boone’s love, and risked her very life…. So if you read that Plot synopsis you definitely know by now what we are dealing with. It is the schmaltziest romance you can wish to stumble upon. So let’s review it as such and not as a comparison to any great pieces of literature, because only then it can be fairly addressed. I actually enjoyed this. I am not in a place in life where I want these gruesome murdery books or dystopian fiction or anything that doesn’t have some happy. Charmed has some happy – it’s unbelievable and totally cheesy but it is still some happy. I had my misgivings – I mean her name is Ana and I am still traumatized by Fifty Shades of Grey and that stupid name. Also, who names their child Boone? Really? The book is also really not complex and there is no villain worth mentioning. Everyone is perfect and Boone is the big strong man and Ana is the beautiful lady with a big secret and vulnerable nature. There is a kid that is cute and never annoying and just so perfect and everyone is wonderful because that is how life is – beautiful and wonderful. Consensus: Fun, silly, cheesy, romancey. Don’t read it if you hate any of those things because this book ODs on it all.